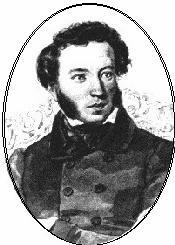 ﻿ Poetry Lovers' Page - Aleksandr Pushkin: "The Land of Moscow..."
You are here: Home » Russian Poets » Aleksandr Pushkin » "The Land of Moscow..."
From "The Reminiscences at Tsarskoe Selo"
Free of unhappiness and fears. And you were burned and covered with blood! The dear beauty of the native land? Oh, how, Moscow, for us, your sight, is awful! The villas of the rich are felled. There now are just coals, ash, and dust. All dead and silent. All unfair. The Lord's vindictive arm is laid. And swords of Russians, from behind.